Over the last few weeks the club has been putting in the hard yards with appearances at two local non-modeling themed events. We like to support local activities as much as possible, not only does it give visitors something else to look at, but it allows us to get into the community, make ourselves visible, and hopefully draw in new members and bring new people into the hobby. With that in mind, we attended the Middleton Cheney Fete on 5th June, with a gazebo full to bursting with all sorts of our finished work, with some of the flying craft hanging from the gazebo ceiling! With the weather very favourable we had a lovely day and enjoyed meeting new and familiar faces alike. At the end of June, we then made our annual appearance at the Bloxham Steam Rally where we resumed our huge display in the dedicated modeling tent. Naturally for our centrepiece show, the 50 Years of Star Trek was front and centre, and accompanied by a huge range of kits from our varied and talented membership. The weather was a bit iffy, but on the most part good and there were plenty of people taking a keen interest in the display and we had lots of fun and interesting conversations with those stopping by. Our thanks goes out to everyone who stopped by at either the Fete, Steam Rally (or both!) and enjoyed what we had to offer. Now the planning starts for next year! 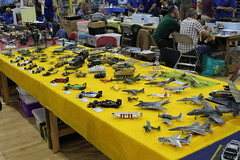 For the full collection of pictures for each event, check out our Facebook page, or Flickr page. Interested in joining? 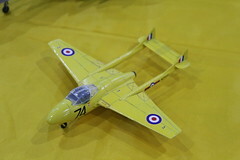 Want to find out more about model making? Then pay a visit to one of our monthly meetings. Find out where we meet here. IPMS Middleton Cheney is pleased to announce that we will be displaying at next weekend’s Middleton Cheney Fete on Sunday 5th June. We’re delighted to be able to support local events and hope visitors enjoy our display. 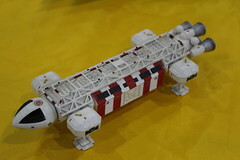 It provides a great opportunity for the club to make its presence known within the community, as well as give the model-making hobby exposure to the general public. Budding model makers and experienced hands, young and old, don’t always realise there might be a club for them in their neighbourhood and therefore local events give us a platform to recruit new people into the hobby. If you plan on attending, we look forward to seeing you there!